WELCOME to "PARAMOUNT" Iron & Steel Works (P) Ltd.
"PARAMOUNT" is on the path of total 'Green Technology', towards energy conservation and environmental protection with confidence. PARAMOUNT "Thermal Insulation for Energy Conservation and Environmental Protection". Our company policy is to manufacture thermal insulation-products which actually help save energy, whilst at the same time, not causing any kind of pollution what so ever. "PARAMOUNT" Iron and Steel Works Pvt. 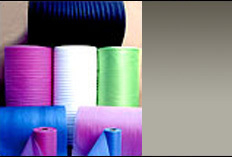 Ltd. (Plastic Division) is the leading manufacturer of Paramount Expanded Cellular Polyethylene Foam, Sheets, Hoses , Rods and Air Bubble Film rolls in the most sophisticated plants situated at Sonepat, india. PARAMOUNT "Your Professional Insulation & Packaging Partner"
Access to the highest quality P.E. Foam Sheets, Hoses And Rods. 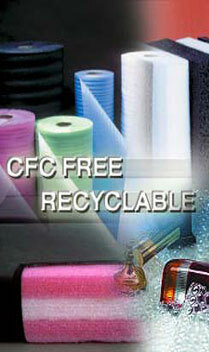 Highest quality of Air Bubble Film and Pouches. Strong & Active Market Support with 50 distributors all over india. Innovative products, Through extensive R&D Policy .